Mercedes-Benz of Northampton is delighted to complement the finest engineering in the air with the finest engineering on the road by joining the new Lifestyle Area for the second year running at AeroExpo UK exhibition. The local retailer will be making the short trip from its Riverside Business Park showroom to display an example of the finest and most exciting vehicles produced by the acclaimed vehicle manufacturer. Included on the Mercedes-Benz of Northampton stand will be one of this year’s most eagerly-awaited new cars – the new CLA-Class. The stylish new CLA-Class is a completely new Mercedes-Benz coupe car which is set to wow the UK car market with outstanding fuel economy figures and stylish body features. With a number of recent model launches and a number of new models arriving this year including the new S-Class and the GLA-Class, Mercedes-Benz of Northampton have cars to suite everybody’s lifestyle and motoring requirements. Mercedes-Benz of Northampton will also be inviting visitors to peruse another kind of flying machine with an example from the phenomenal Mercedes-Benz AMG range. Featuring hand-built engines and race-bred driving dynamics, these Mercedes-Benz deliver an unrivalled fusion of explosive performance and luxurious comfort. 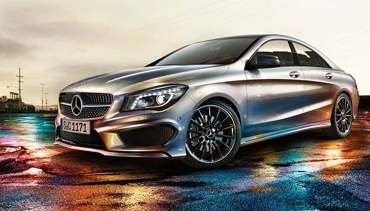 Currently confirmed for the Retailer’s display is a CLS 63, which is powered by a 6,208cc V8 engine. Mercedes-Benz of Northampton looks forward to welcoming visitors onto its stand and introducing them to its latest arrivals and array of services.